Mix up the fruit if you like. 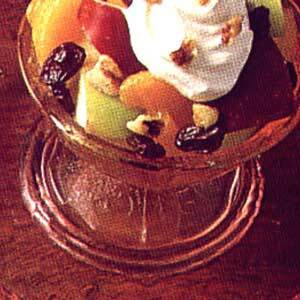 The tangy topping goes well with fruit. Toss banana and apple pieces with orange juice to prevent discoloration. Drain any excess juice. Toss with all remaining ingredients. Chill. Yield: 6 servings.